But the Department of Communities and Local Government (DCLG) is not listening. 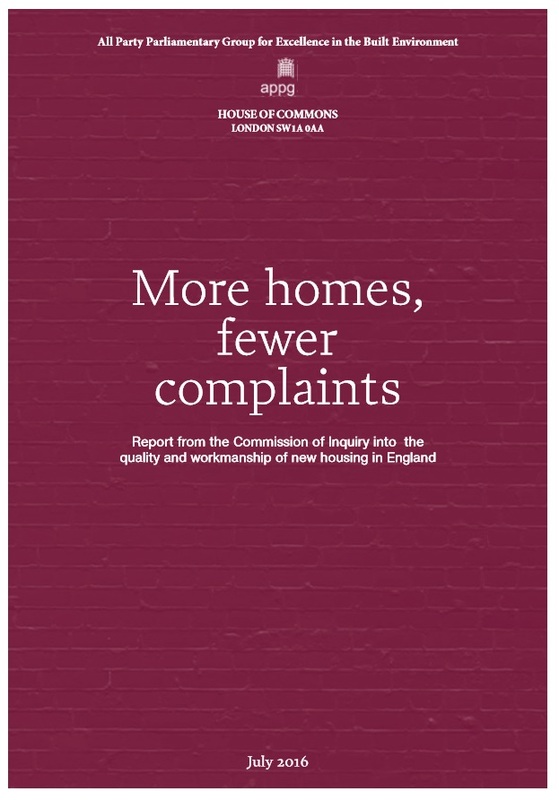 Despite the over-whelming evidence, thus far, the Government is ignoring the problem of poor quality new homes. Is the Government worried that imposing new regulations on the large housebuilders could result in a backlash and a slowing down of the already inadequate levels of production, reducing the number of homes built? Perhaps. But a large and increasing number MPs are well aware of the problems their new home buying constituents are experiencing on developments such as Taylor Wimpey’s Loddon Park, poor quality, basic preventable defects and a total indifference to sorting them out. But an individual MP is all but powerless to do anything to force through new legislation. 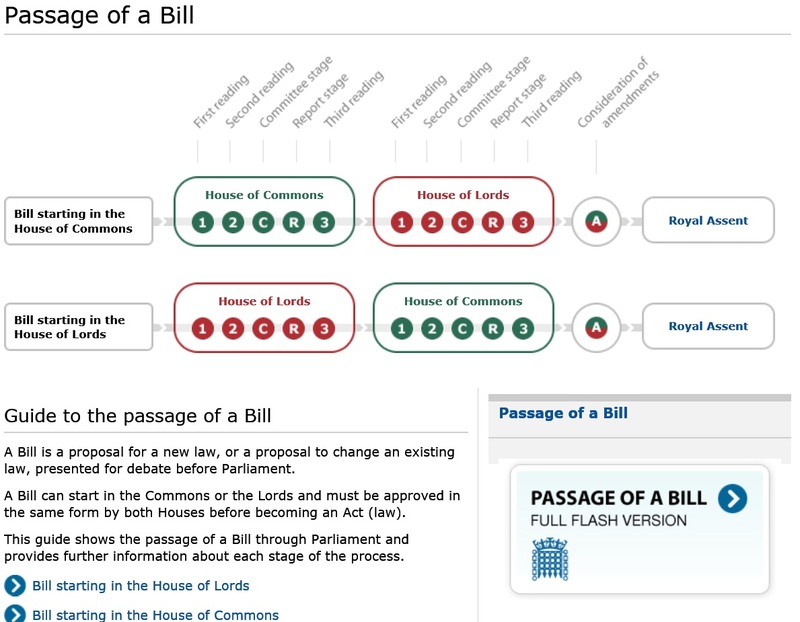 They can only enter the lucky-dip “ballot” for Private Members Bills. Even if they are successful in getting one of around 20 slots, they could be pressured by Government whips to use their slot for shoe-horning in a bill for government ministers. So all we can do as voters, is force the Government to respond (if 10,000 sign) and hopefully debate (100,000 to sign) the implementation of the ten APPG Inquiry Report recommendations. But only if enough people sign this petition! It is that simple. The response to the petition thus far is as disappointing as it is surprising. For example despite all the issues buyers have with their new homes and Taylor Wimpey at Loddon Park, just 8 out of 200 buyers have signed thus far. After three weeks (23 left to go) only 280 have signed. Calling all new home ‘moaners’, why haven’t you signed this petition? Most new homebuyers choose not to go public with their experiences for various reasons. 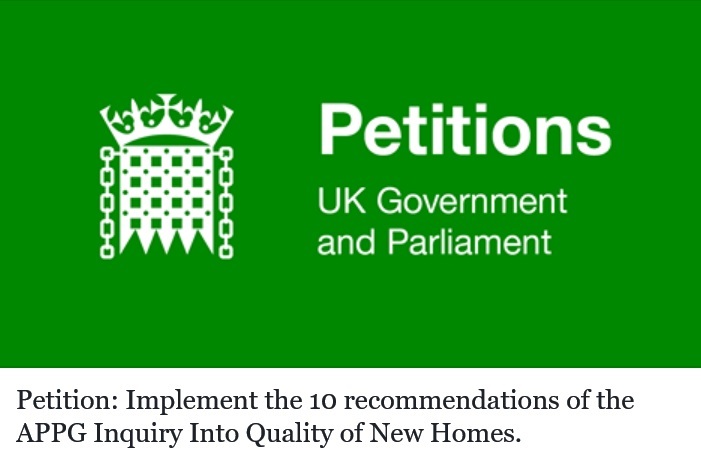 But by choosing to ignore this petition, it could send the wrong message to those that can re balance the new home landscape giving buyers better protection and higher quality new homes for generations to come. Then check your email and click the link in the e mail that Petitions: UK Government and Parliament send you to sign this petition. Please note: You have not signed until you click the link in the email. Change will only occur if enough people stand up and demand it. Today’s badly-built new home is tomorrow’s old home. The issue of poor quality, sub-standard defective new homes will affect everyone sooner or later. This entry was posted in New Homes and tagged APPG Inquiry Into Quality of New Homes, customer care, new homes ombudsman, quality, standards. Bookmark the permalink.